Sneak Peek: Season 4 Finale "Operation Mongoose"
In the Once Upon a Time Season 4 Finale, "Operation Mongoose" Henry is called upon to restore the balance between heroes and villains. 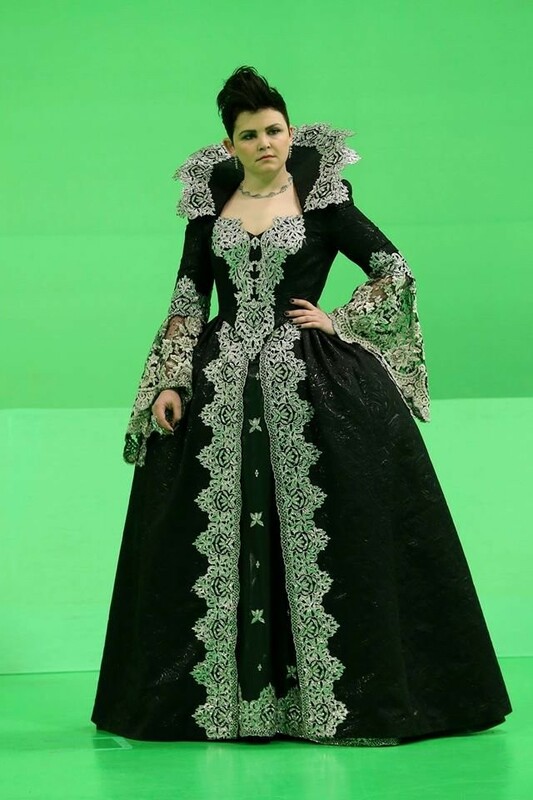 In this sneak peek preview, Fairy Tale Land seems upside-down when a humble bandit Regina (Lana Parrilla) goes head-to-head with Evil Queen Snow White (Ginnifer Goodwin). But who is the boy Snow White refers to — and what is his role in this mixed-up world? Season Finale Sneak Peek: Rumplestiltskin Is a Hero?|Rumplestiltskin is a heroic knight in Isaac's new story.|In Isaac's new story, Rumplestiltskin (Robery Caryle) is a heroic knight who rescues Henry (Jared Gilmore) from an ogre. What does that mean for the happy endings of real heroes Emma Swan (Jennifer Morrison), Snow White (Ginnifer Goodwin) and Prince Charming (Josh Dallas)? Watch this sneak peek preview of "Operation Mongoose" and tune in to the 2-hour season finale SUNDAY MAY 10 8|7c. Sneak Peek: Rumplestiltskin is a heroic knight in Isaac's new story. Sneak Peek: The Author wants to give Rumple his happy ending. The Author will prove to be a formidable wild card when he forges an alliance with Gold. As we saw in season 4 episode 21 "Mother," Regina decided not to use the Author to get rid of her sister, Zelena. Regina Chooses Happiness|Will Regina and Robin finally get a happy ending?|Regina (Lana Parilla) makes a difficult decision regarding Zelena (Rebecca Mader). Will Regina and Robin finally get a happy ending? From Once Upon a Time season 4 episode 21, "Mother." Incensed by Regina's sudden conscience, the Author went back to Gold, who he knew would not waste his talents. Gold said it's time for villains to finally win, and the Author began a new book: Heroes and Villains. The Author Writes a New Book for Gold|The Author begins to write "Heroes and Villains. "|The Author begins to write "Heroes and Villains," a new book for Mr. Gold. Will Rumplestilskin cost the heroes their happy endings? From Once Upon a Time season 4 episode 21, "Mother." In "Operation Mongoose," Emma, Mary Margaret, David, Hook and Regina scramble to stop Gold and the Author. But when Gold and the Author turn the tables on heroes and villains alike, the prospect of any happy outcome appears worlds away. Lana Parilla in a behind the scenes photo from the set of "Operation Mongoose." Henry discovers he has big shoes to fill as he steps up to save his family before the story’s final page is turned. It’s a race to the finish, and everything culminates with a shocking twist that will leave the residents of Storybrooke reeling. Ginnifer Goodwin in a behind the scenes photo from the set of "Operation Mongoose." Keep checking back this week for more previews and sneak peeks as we approach the 2-hour season finale of Once Upon a Time SUNDAY MAY 10 8|7c.